Celling offers clinicians a vision that they can grow with. Noone else in the regenerative space is as focused on point of care technologies as we are. Beyond that, revitalization of tissue and organ replacement are on our radar. Regenerative therapy is not just about point of care injectables. Entire tissues sometime are required. Harvest of living tissue from one place in the body to augment another has significant limitations related to donor site morbidity. As a result of this, allografts are frequently used. Allografts however are not the optimum replacement for a person’s own tissue. Celling Scientists are working on strategies to recellularize and revitalize allograft tissue in a way that the end product will be an allograft scaffold with recipient living cellular components. This will negate rejection risk and substantially increase healing and re-engraftment rates and drastically reduce healing and recovery times. Celling scientists have been leaders in organ regeneration technologies and human organ bioreactors. 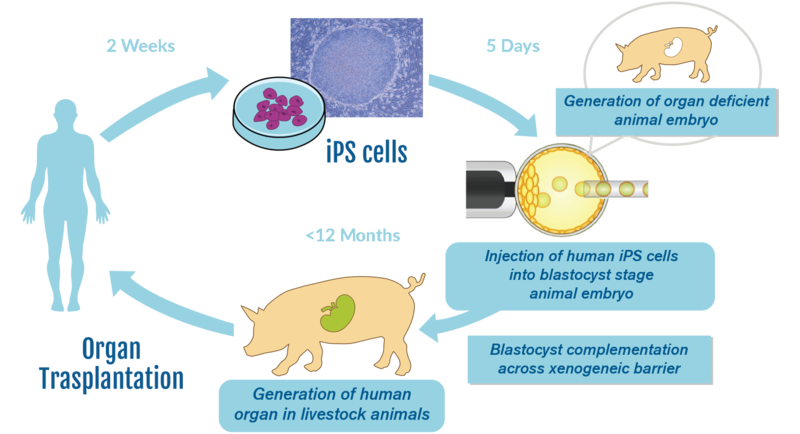 They have also pioneered ways to induce organ growth in xenograft host animals that could potentially supply organs that are genetically identical to a recipient which would negate rejection risk and make human organ transplantation shortages a thing of history.